GLOBAL growth in 2019 should be even slower than previously expected but a “precarious” rebound later this year is likely, the head of the International Monetary Fund said on Tuesday. 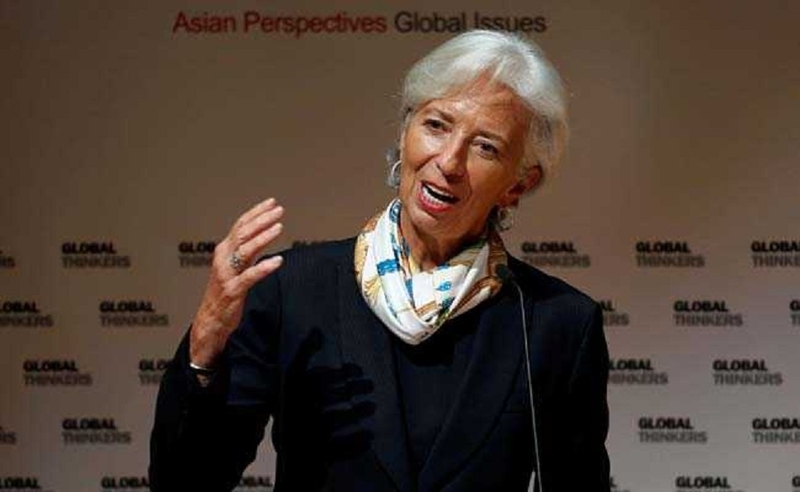 In a speech ahead of next week’s spring meetings with the World Bank, IMF chief Christine Lagarde said the world economy was vulnerable to shocks from Brexit, high debt levels and trade tensions, as well as unease on financial markets. “The expected rebound in global growth this year is precarious,” she said in prepared remarks at the US Chamber of Commerce. “This is a delicate moment that requires us to handle with care.” Lagarde said the IMF next week was due to cut its global growth forecasts even further than it had in January, with more than two thirds of the world economy likely to see slowing growth. At the start of the year, the fund had already lowered its expectations several notches from a prior outlook, calling for global GDP to expand by 3.5 per cent this year and next. Next week’s meetings -- a semi-annual Washington conclave of central bankers and Finance Ministers -- comes against the backdrop of fraught negotiations between Beijing and Washington to resolve their eight-month trade war. Gloom about slowing growth in Asia, Europe and the US, as well as the protected US-China trade war, have sparked periodic jitters on markets since last year. But Lagarde pointed to some grounds for optimism, saying major central banks, including the US Federal Reserve, were showing patience about the speed of interest rate increases while China had moved to stimulate its economy. “These policy responses have supported an easing of financial conditions and increased capital flows to emerging markets, where currencies have strengthened relative to the US dollar,” Lagarde said. She called on member Governments to help avert mounting dangers by modernising tax systems, cutting public debts and reducing wealth inequalities through spending on education, health and infrastructure.